At first glance, Pizzeria Basta’s modest location in an apartment building complex may be deceiving. Perhaps a gym, convenience store, or a takeout restaurant, but a high-end pizzeria is the last I would have expected from its small sign on 33rd and Arapahoe. But sometimes, the best things in life are hardest to find. After conquering Pizzeria Locale, Pizzeria Da Lupo and Tossa Pizza, I set out to Pizzeria Basta to complete my tour of Boulder’s finest pizzerias. Immediately upon walking into Basta’s small yet cozy space, it was evident that this restaurant is frequented by neither students nor tourists. Instead, this wood-paneled room was filled with wine-sipping gal pals, date-night parents, and laid-back twenty-somethings, who likely lived in the apartments above. Yet despite our blatant student identity, the hostess greeted us as if we were regulars, and showed us to a small table with menus waiting. Knowing that a carb-overload would take place later on in my culinary journey, I decided to start with a salad, logically canceling out my carbohydrate intake with a small bowl of greens. 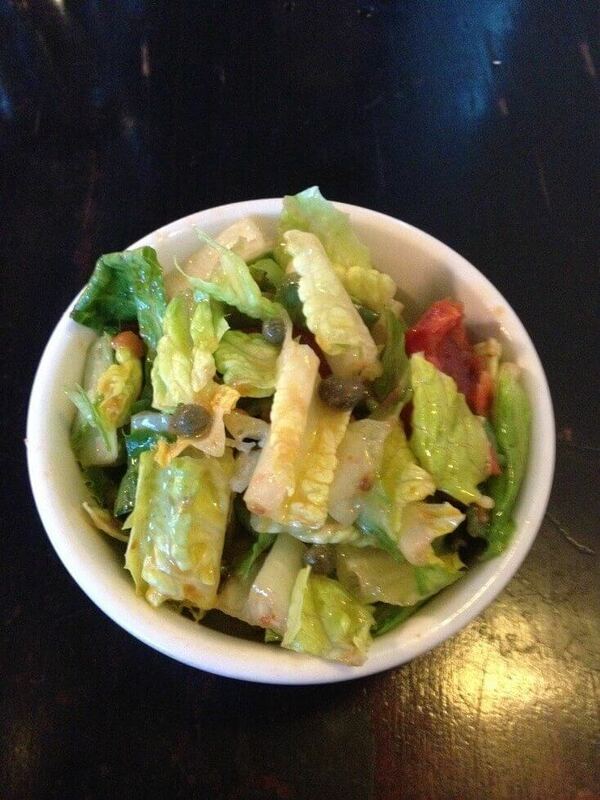 I went for the Romaine Heart Salad, mixed with oven-dried tomatoes, green olives, capers, and a lemon vinaigrette. 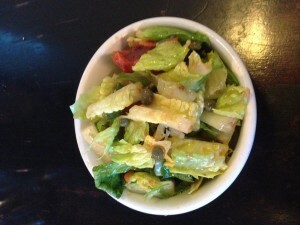 I was truly impressed with this simple salad, perfectly balancing the flavors of the salty capers and olives, with the acidic lemon dressing and crunchy romaine. Next time I order a generic house salad at a pizzeria (only to feel better about my carb intake, of course), this will be the benchmark in which to compare it. One of the qualities that sets Pizzeria Basta apart from the other outstanding pizzerias around Boulder is its emphasis on local, organic ingredients. Forget the Italian imported cheese, fancy tomatoes and aged spices. 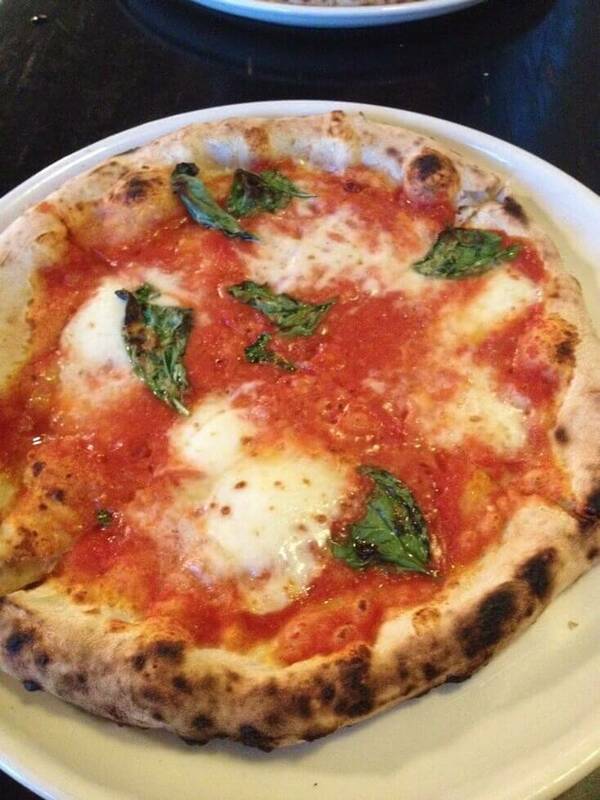 Pizzeria Basta crafts their genius pies solely from domestic flour, organic tomatoes, and seasonal ingredients. Nevertheless, quality and flavor are two ingredients that remain on par. For my first quest to Pizzeria Basta, I stuck to the basics with the Daisy: tomato sauce, mozzarella, basil and olive oil. Nothing fancy, but nothing short of delicious. The airy yet crisp dough, obviously fresh tomatoes and lightly drizzled olive oil might still be lingering on my tongue. Not only do I feel quite accomplished that I can now say I have tried (in my opinion) all of Boulder’s best pizza, but I feel lucky that my taste buds were able to embark on this culinary adventure. Perhaps I saved the best for last, or maybe it was just the hardest to get to, but I encourage every foodie to embark on Boulder’s pizza tour, and decide for yourself which will be your favorite. 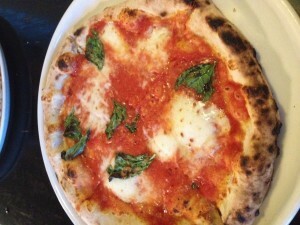 Whether its a rainy Sunday or Friday night out on the town, Pizzeria Basta is one for the short list.